Pierre R. Roberge obtained his PhD in Physical Chemistry in 1982 on the subject of Chlor Alkali Diaphragm Cells. He has since then worked as a research scientist for different industries on subjects related to the performance of materials in service or to the production of energy with electrochemical power sources (fuel cells, batteries …). 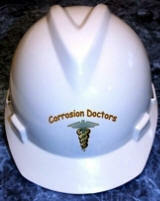 The past twenty years of his research and consulting activities have been focused on corrosion engineering work. Professor Roberge's research activities have covered a wide spectrum of topics from the development of accelerated tests for the characterization of the corrosion resistance of metallic materials to the design and development of information systems. 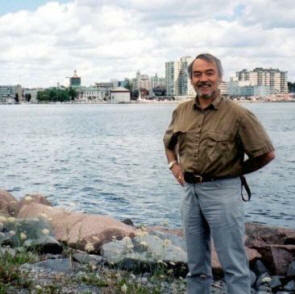 Dr Roberge has worked as a research scientist, engineer, or advisor on different Canadian Defense projects and for various industries on subjects related to the performance of materials in service, corrosion engineering, and the production of energy with electrochemical power sources (fuel cells, batteries). Since the publication of his Handbook of Corrosion Engineering by McGraw-Hill in 2000 the focus of his consultancy and other extramural activities has been mostly on corrosion related issues. Sun Pac Foods v. Domtar Ltd.
Dr. Pierre Roberge is the author or co-author of more than 100 scientific publications in journals and book chapters plus nearly 200 papers in Conference Proceedings. He is also the author of theHandbook of Corrosion Engineering, originally published by McGraw-Hill in 2000 (1100 pages), published in Chinese in 2005, and more recently reworked in the second edition published in 2012. In addition Dr. Roberge has written the last of NACE International Corrosion Testing Made Easy book called Erosion-Corrosion and produced the second edition of Corrosion Basics: An Introduction (NACE International, 2006) a landmark textbook corrosion science and engineering. This work has led to the production of the modern textbook called Corrosion Engineering: Principles and Practice published by McGraw-Hill in 2008.